Hello…you are in for a treat so sit back and “take ten” (but you might need more than that). Especially if you are considering finishing your basement. 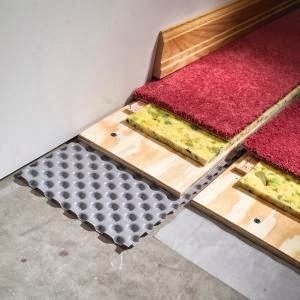 Basements simply are not basements anymore, not those old, musty, low ceilinged, spider infested, vinyl floored creepy places that many of us think of when we hear the word “basement”. So as we are looking to start finishing a part of our own, this was great fun to explore. I got ideas and then some! Today, they are extended homes, and truly incredible spaces in some cases. What I think most of us thought of as basements growing up, well that no longer applies. 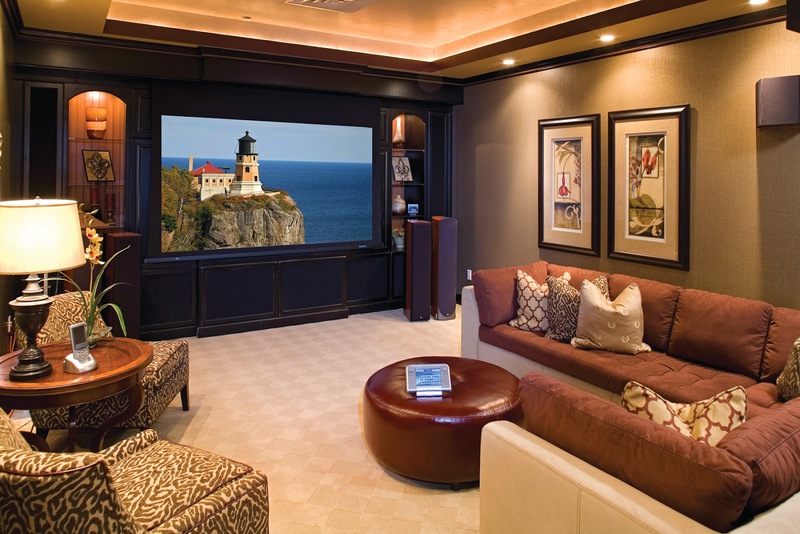 Finishing up a basement in a big way has become a big business! Today a look at some truly amazing ideas and trends being seen in basements. I say whatever it takes to get a kid to want to hang out in our house, is worth its weight in gold. I LOVE when my teenaged son wants to hang out here and I would practically do anything to insure he does:) Of course to a point…….. This is s great looking space, I like the warmth of the wood floors, a large neutral sleek sectional, the bar behind….great space! 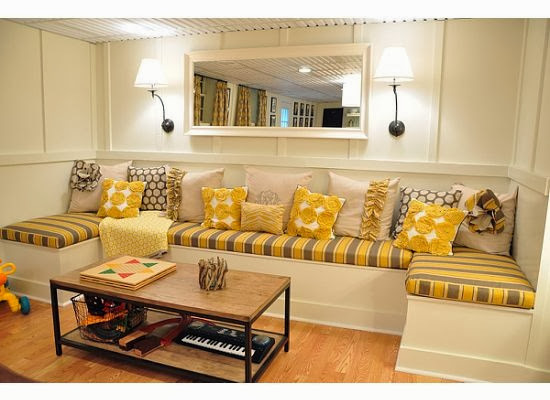 A basement is a perfect space to use dead space and build a large wide banquette, I would love to do this! 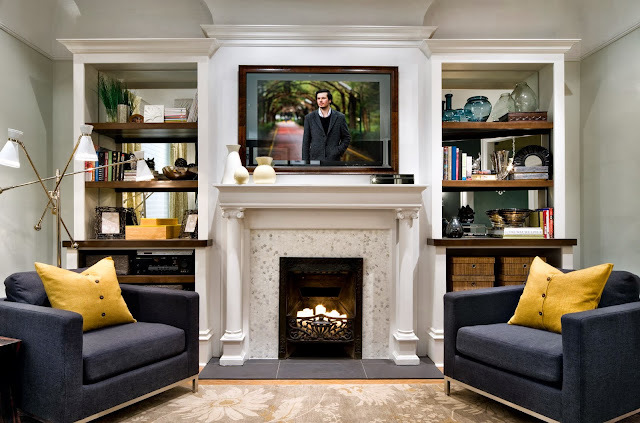 How beautiful is this finished space? 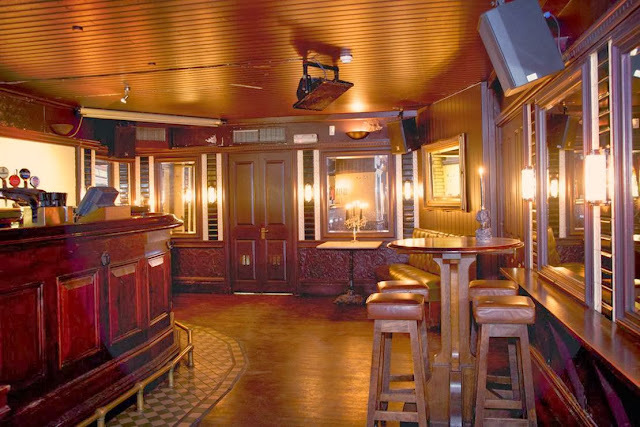 I just love the padded wall, the cozy corner seating arrangement, the built in storage……practical and beautiful! 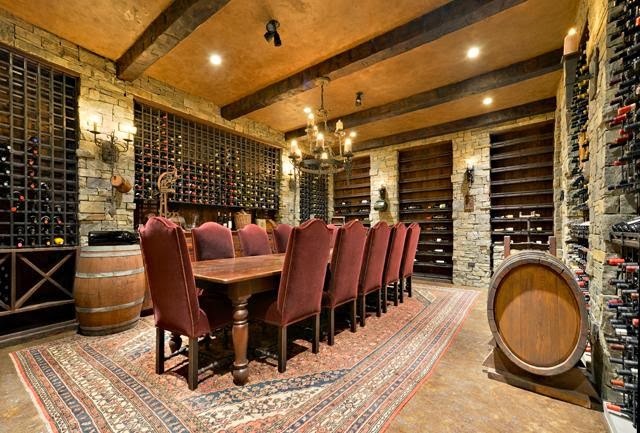 Almost hard to believe its a basement! 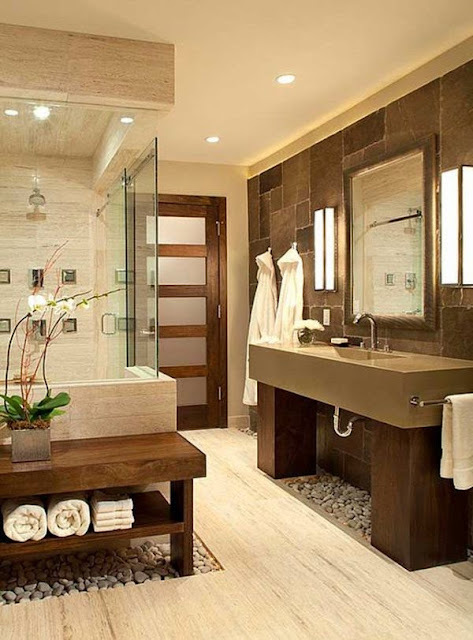 If space and budget allows, a basement bathroom is a great place to create a spa feeling bathroom, it will feel like a little getaway every time you go there! 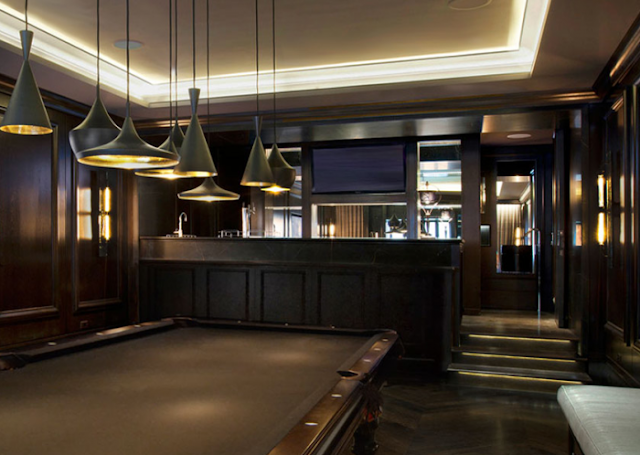 What man would not go nuts for the “sports bar” feeling of this space…love this! How about your own home gym? Love all the white and mirrors, really opens up the space! 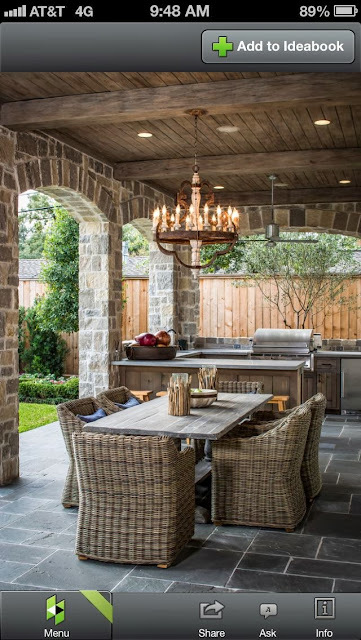 Love this space….who wouldn’t want to hang out here, its just begging for a party! 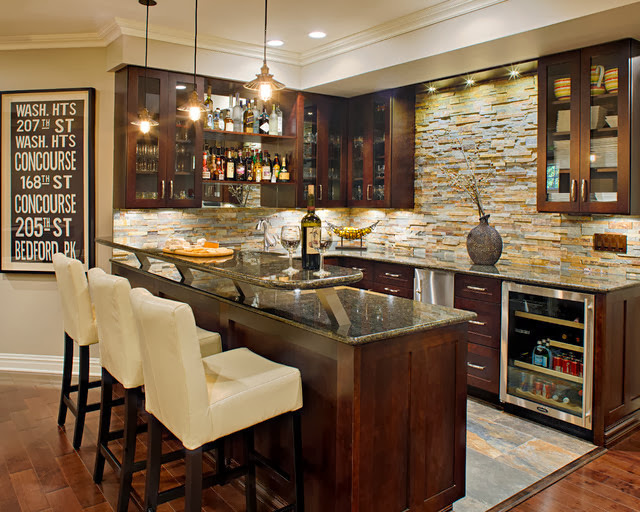 Adding a small bar or kitchen area is a wise move….great for entertaining! 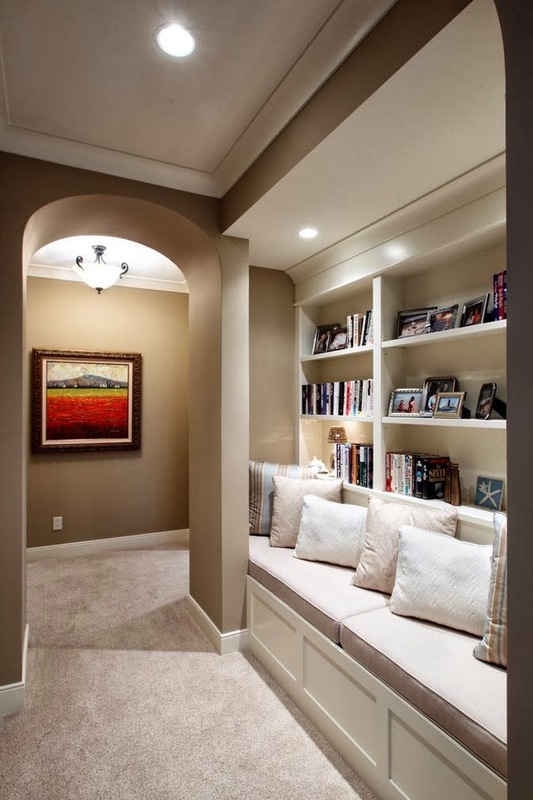 I like the idea that a basement can accommodate cozy little nooks! 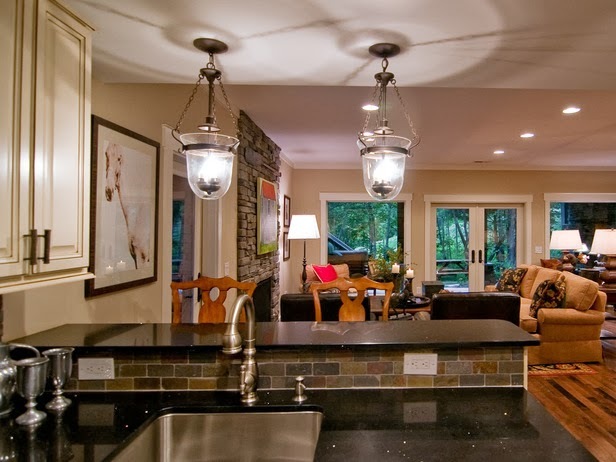 Check out this humble little space (wink), a basement pool…..belongs to Keli Ford in case you are wondering! 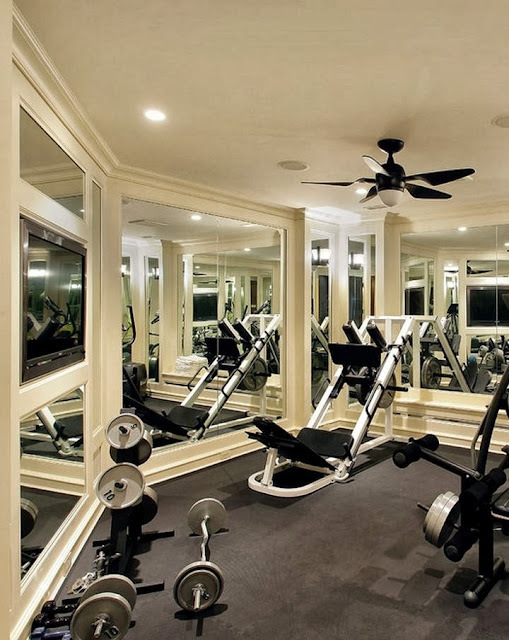 A home gym is the ultimate luxury and if you have the space, its a fairly inexpensive room to build! Don’t forget those covered areas that extend out of the basement, they make great entertaining spaces in any kind of weather because they are protected! Candice Olsen mirrored these bookcases to open and brighten, smart move! 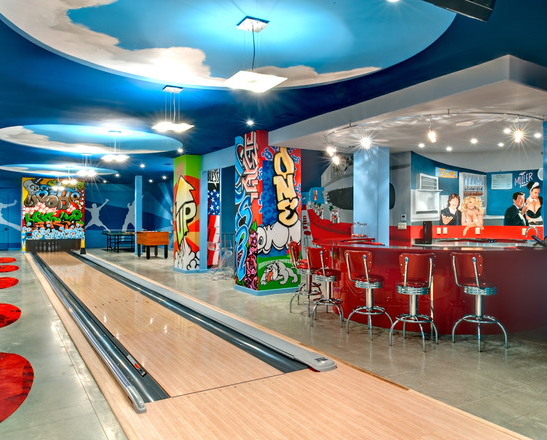 Wow, not your ordinary basement. 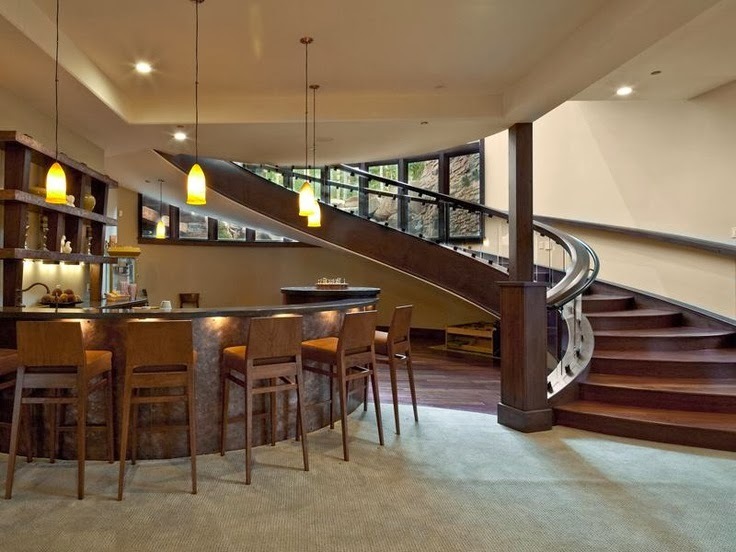 Love the sweeping staircase, Sothebys (this almost looks like my neighborhod Starbucks)! 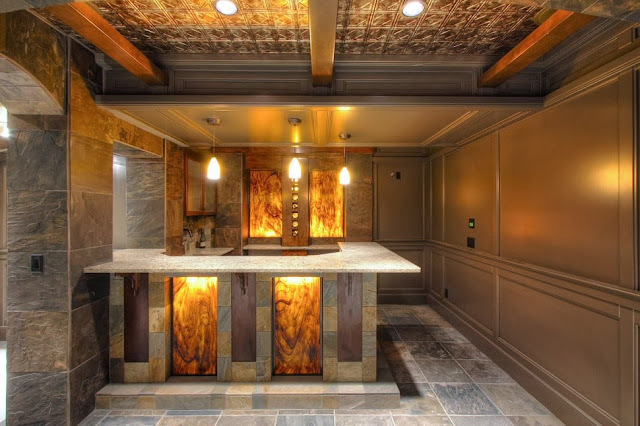 Bringing in unique custom finishes is a dramatic way to add the wow factor to a finished basement! 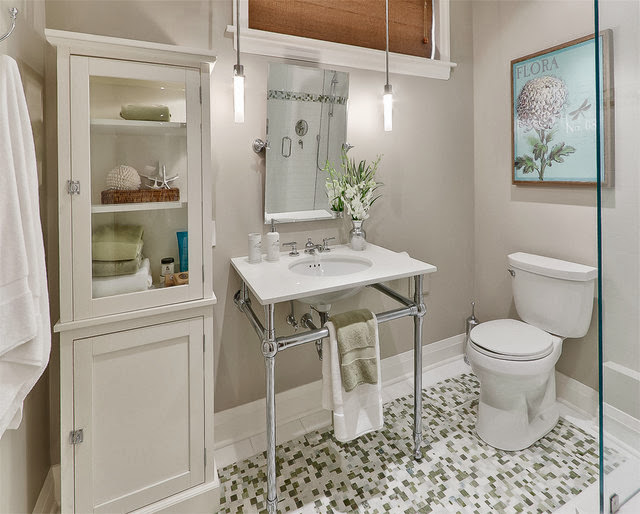 The new tile floor that looks like white is a fantastic idea to have a warm looking floor with virtually no maintenance and mildew resistant! 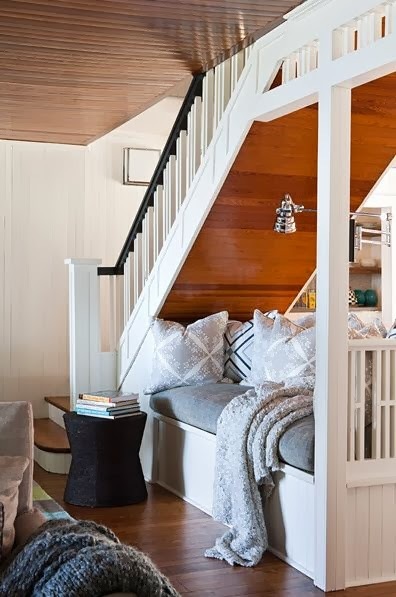 Create a cozy sleeping noon under the stairwell…..everyone will fight to sleep there! Lighting is very important. 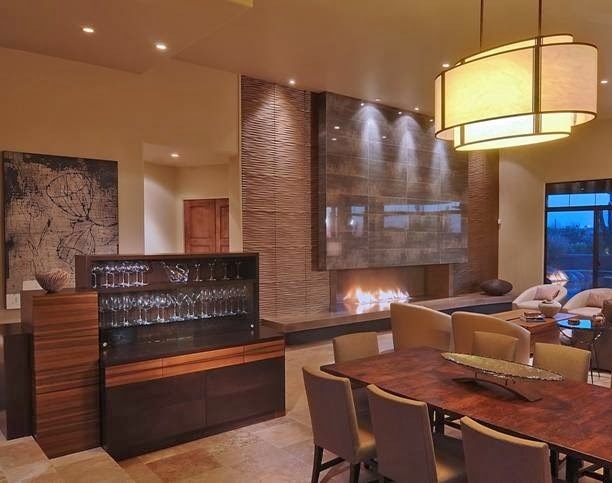 Bright light on dimmers is a way to control your setting. 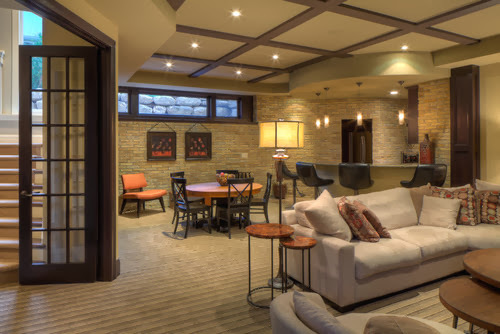 Small puck lights allow for maximum light, while sconces and overhead chandeliers can be a great “mood lighting”. I like the idea of combining the two. 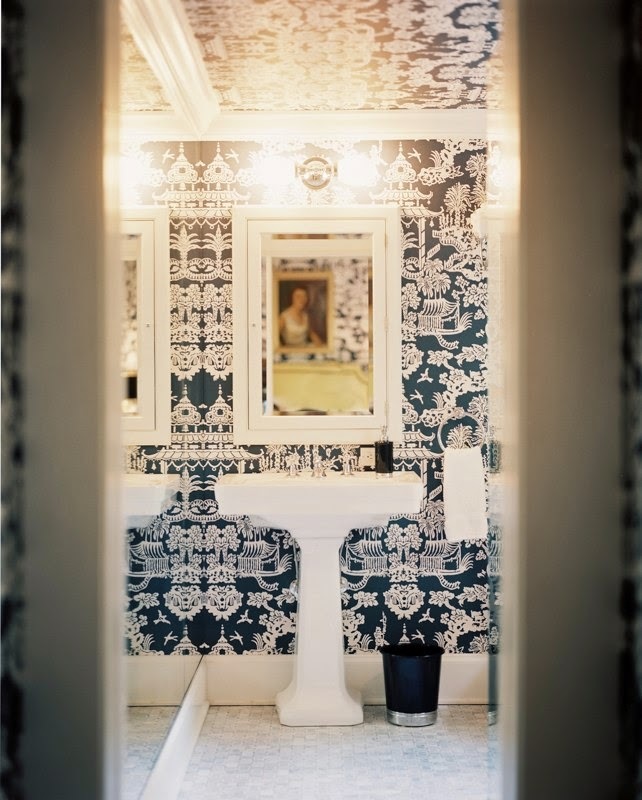 For bathrooms since they tend to be windowless, I say keep it bright and white. 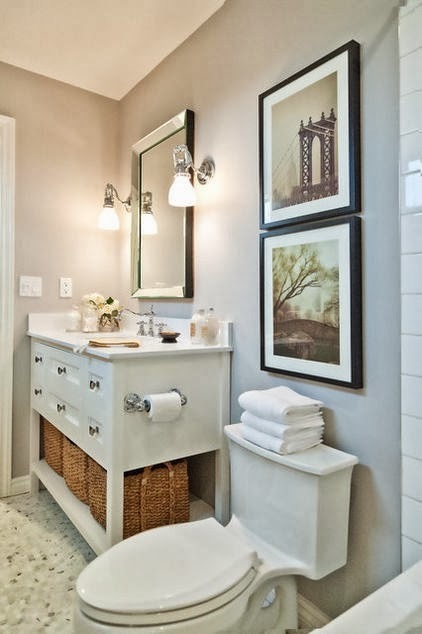 It feels cleaner and happier and gives that getaway spa vibe that we all crave. You can add color and personality via fun art or posters for the wall. 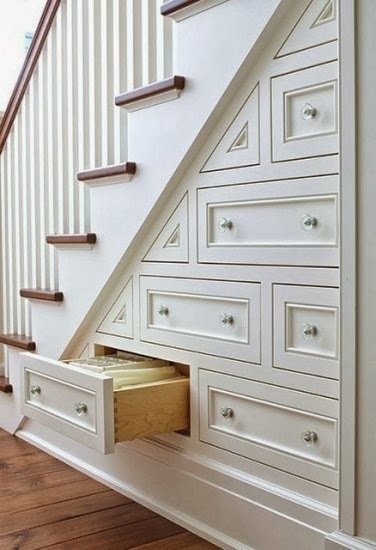 There are many possibilities for extra storage in a basement, including under stairwells! Use up every inch! 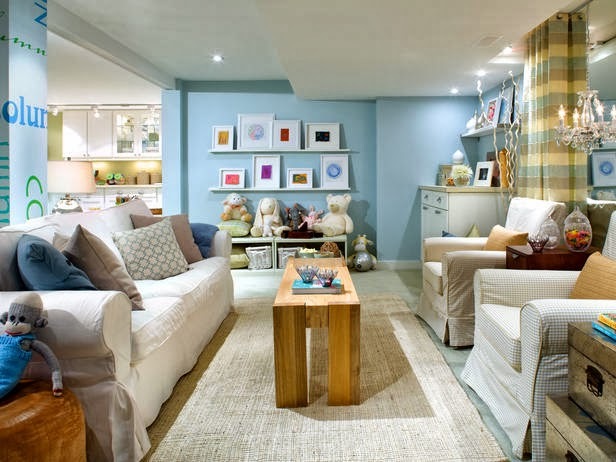 Its a great space to take full advantage of all the nook and crannies that are characteristic of most basements and create storage galore. Love this idea! 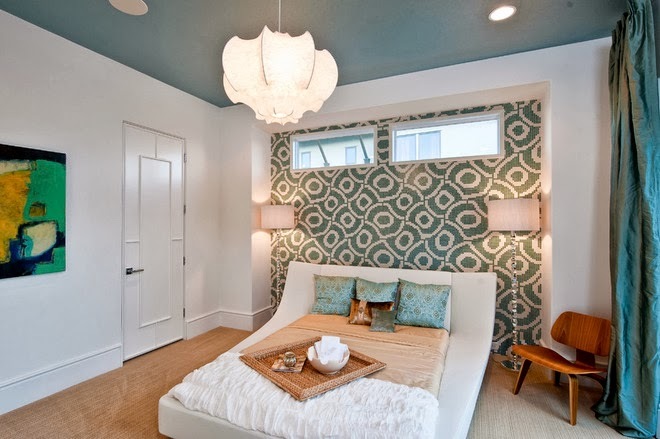 If you are having a bedroom in the basement, this can be a fun room to do something a little different like paper one wall in a funky paper and add an interesting lighting fixture. 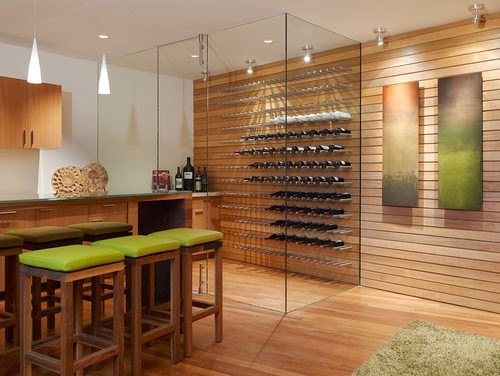 Another clever use of space..love this idea! 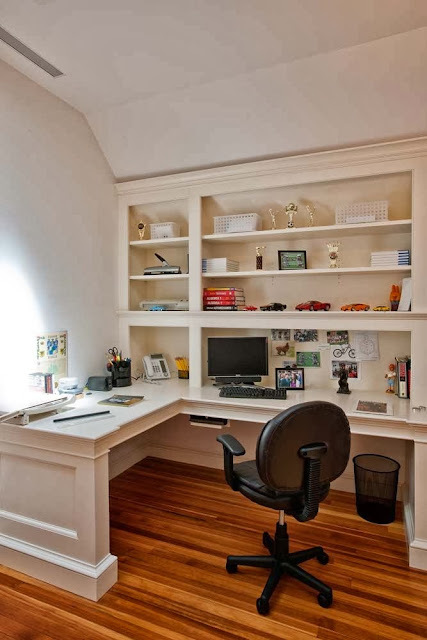 I would love to have this cozy office arrangement! 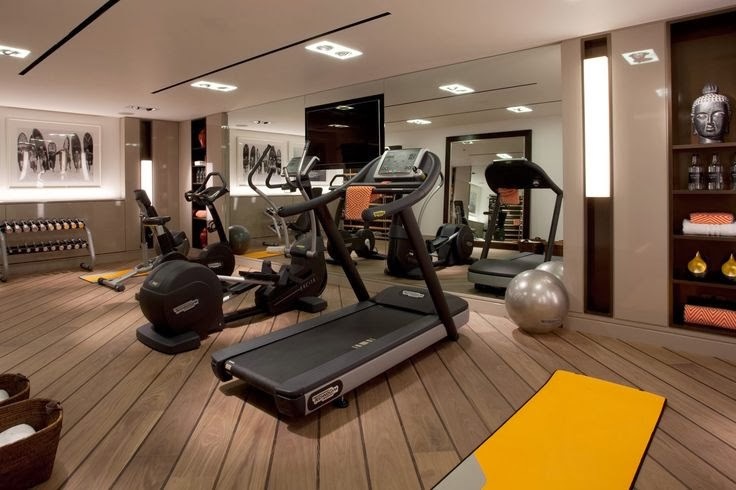 If making a gym in the basement, which is a great idea, a mirrored wall opens up the space and love how they added some art to the left and a few decorative accessories to personalize the space, beautiful! Phew…that’s a lot of beauty in basements. 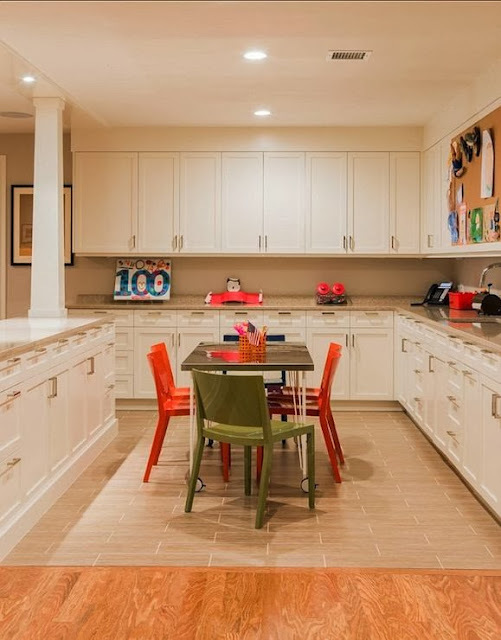 They really have come such a long way….I know some homes where more attention to deatil was put into the basement than the rest of the home! It is a huge and booming business espeically when kids are concerned. 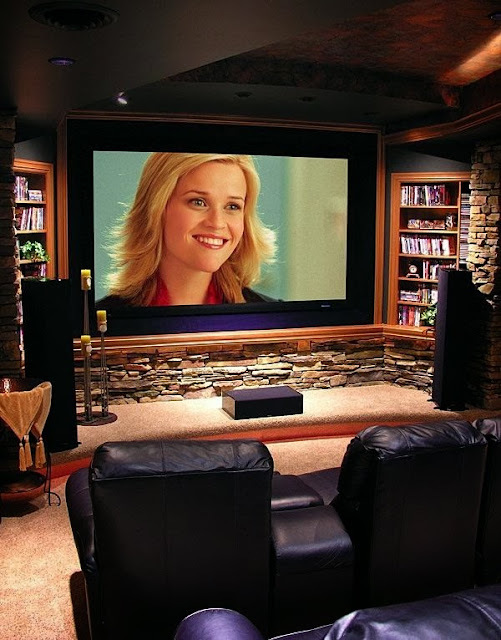 So tell me…..do you have a finished basement? Do you use it? Whats important to you to have in one? Would love you to weigh in. Thanks for stopping in….wishing you a fabulous Friday and great end to your week. Max. 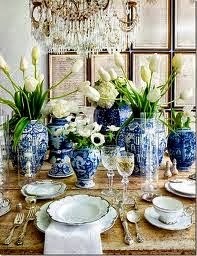 2 pictures per entrant, please in subject line of email put “Blue and white love”. I will collect pictures up until Nov. 1st . The contest will run on Nov. 4th for 2 days. Thanks in advance and I cannot wait to start receiving your pictures…I know they will be fabulous! Oh yes…..I have seen these sorts of basements in the gorgeous homes here in my city. I have tutored many students whose homes are as such, and that’s where we often have gone for French lessons, down in the luxury basements where there are TVs, pool tables and play areas! My basement on the other hand, is and always will be (unfortunately!) of the spider infested sort!!!!!!!! Mine is just for a gym equipment area that I use faithfully, and then for the laundry. But these are fabulous ideas and here in the midwest, we need our basements…..the nicer, the better, that’s for sure! Well that will never happen in my poor old home, the 200 plus year old farmhouse wasn’t blessed with high ceilings or space..ugh! 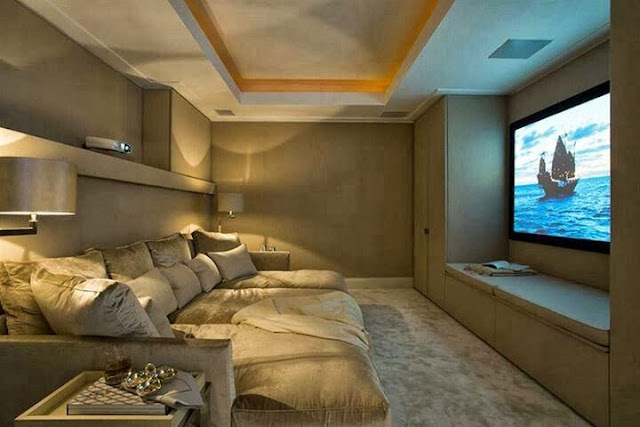 I love these rooms, who great would one of those be!! 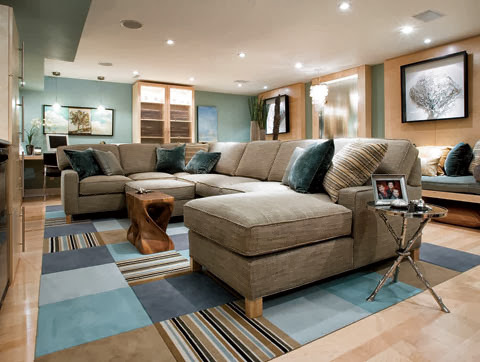 Dear Tina, Gorgeous rooms to fit everyone’s idea of a space for entertaining, movie watching, kids and teens play, cozying up and even swimming! II have been in several homes with lower level pools! This is a GREAT post, Tina! GREAT! Love all the images and all the great info and paint color you shared with us. Thank you so much for preparing this! Very useful! 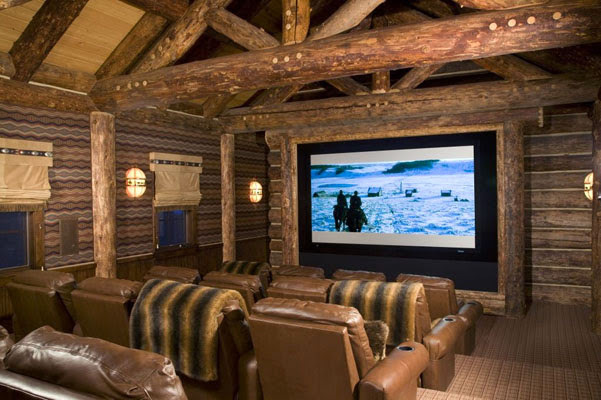 This makes me wish I had a basement. Have a wonderful weekend! We are soon to embark upon finishing our basement. I am grateful for the the information regarding the polyethylene. I didn’t want carpet but Handsome Husband does. Now I feel better about it! I am also proud of myself for spelling polyethylene without peeking! LOL! Thanks so much for your visit to my blog and your gracious, kind words. This is amazing. And the timing is perfect for us. 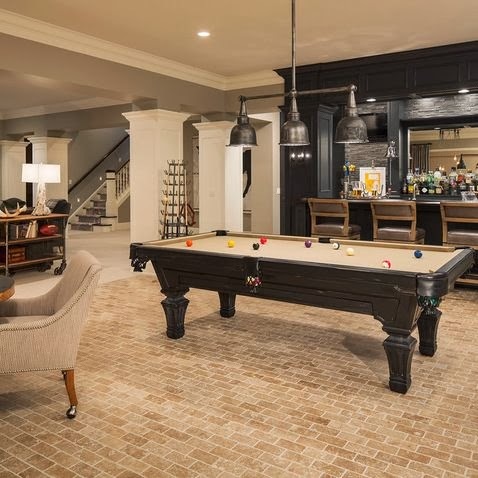 We just moved to a new house a few months ago and the basement is our winter project. 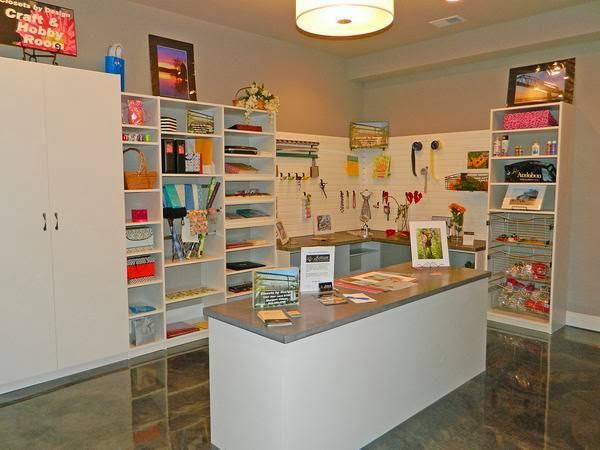 I got many great ideas here, I really want a craft room and know my girls would love it too. 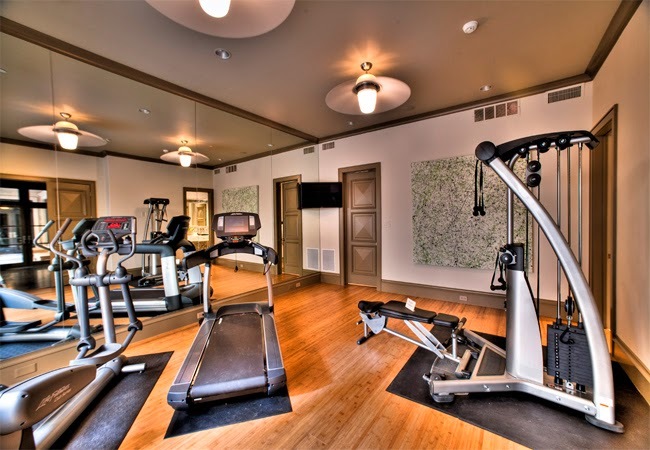 My husband wants a “man cave” for games and gym equipment, so as long as we all get what we want, we are happy! 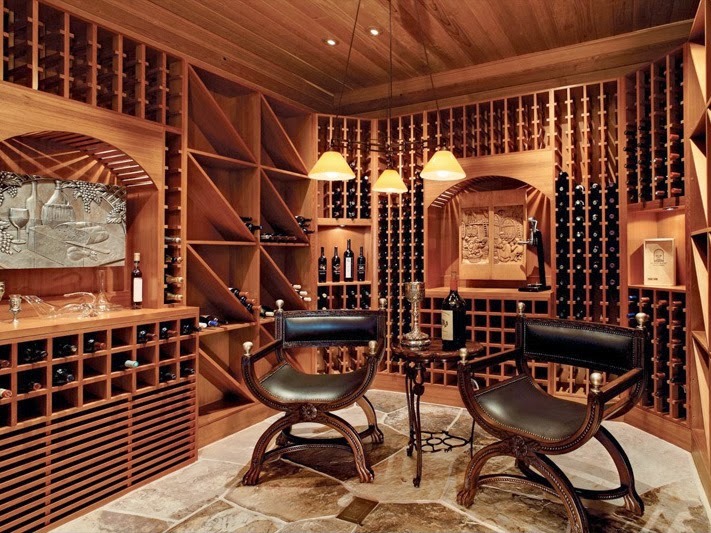 Some of these are so beautiful, I am going to show my husband and contractor this post. Thanks Tina. 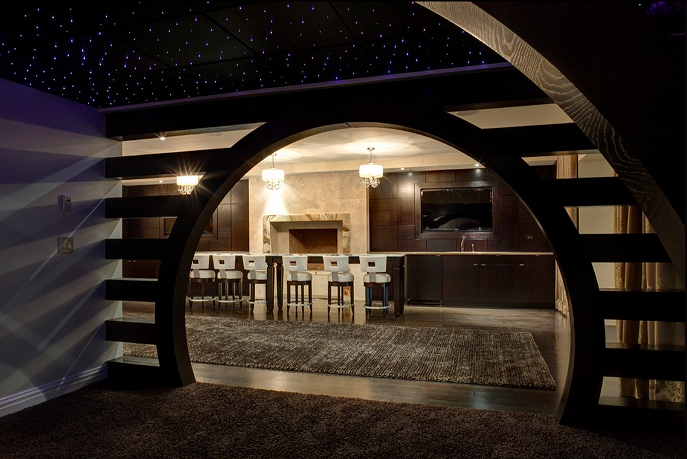 Wow…these basements are spectacular! What a far cry from my half finished damp basement! You are such a plethora of ideas and resources. 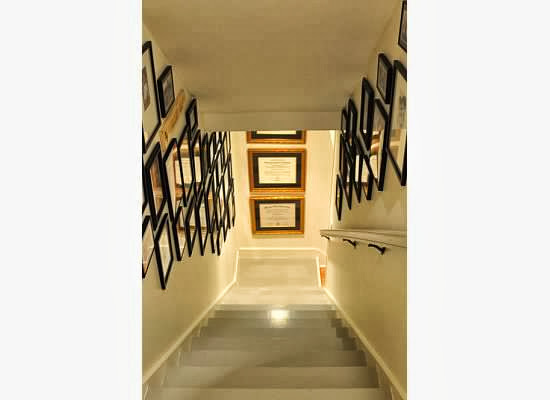 Thank you for this incredible post at basements, I will never look at them the same, who needs an upstairs when you can have basements like this, haha! Great post Tina, have a lovely weekend. hello..i agree with the title. i love them all. it’s so creative and beautiful. nice! you can also kindly visit this websites for other ideas and design about home and lifestyle and different home stuffs. 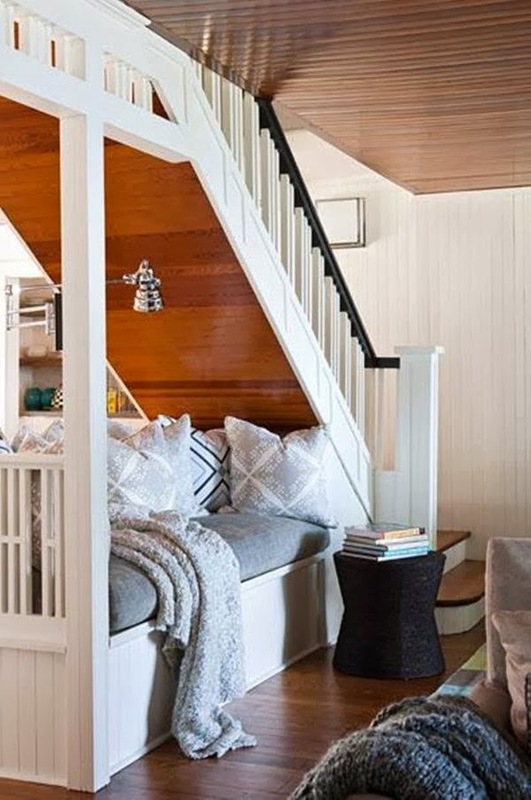 Of all those spaces, my favorite is that precious little nook under the stairs. 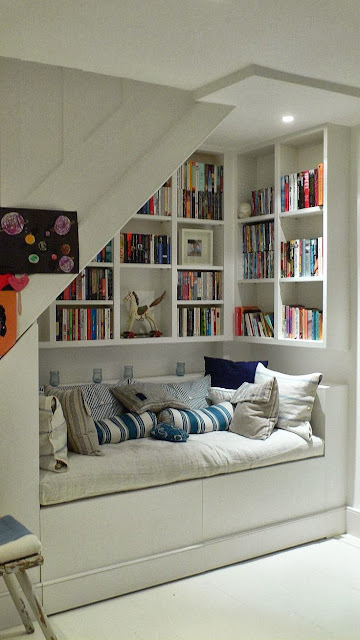 I love tiny spaces! 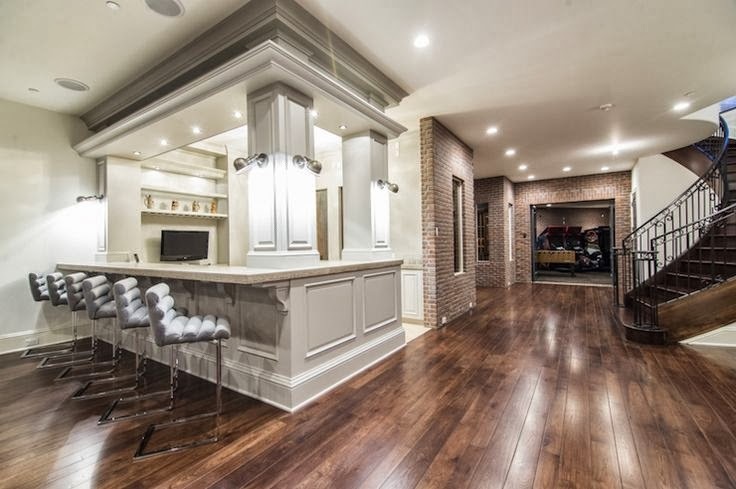 There are so many great spaces here! Hard to believe they are all basements. Some of the pictures left me speechless! Love the indoor pool, so magical. Thank you for the great post, and have a wonderful weekend! Wow! 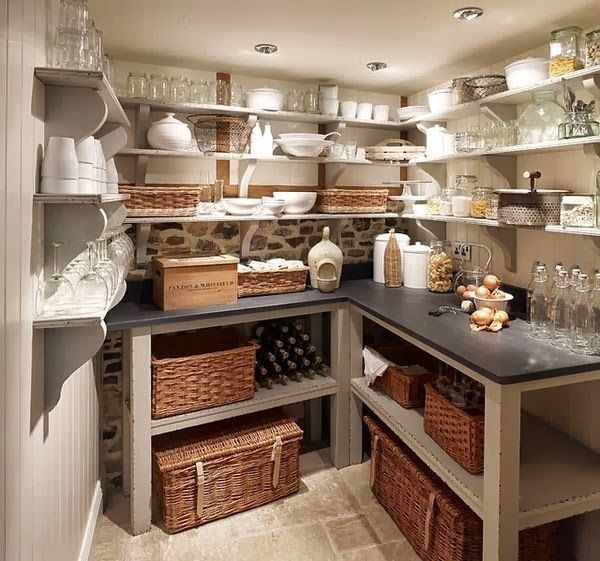 Basements have certainly come long way! Tina, thank you for sharing these beauties. tina, these images are incredible. now i am wishing my 1865 house had something other than a root cellar! Tina wow this is one great post. We have a nice sized basement and my husband just decided he wants to finish it in the spring. So we are just starting to plan it out which will include an office for me and maybe a craft room for my girls and I. I am definitely going to keep this post handy for future inspiration, such good tips and the paint colors are a welcome tip! Now that’s a post…I wish the homes in California had basements….that would be so nice! This is such a great idea for a post! 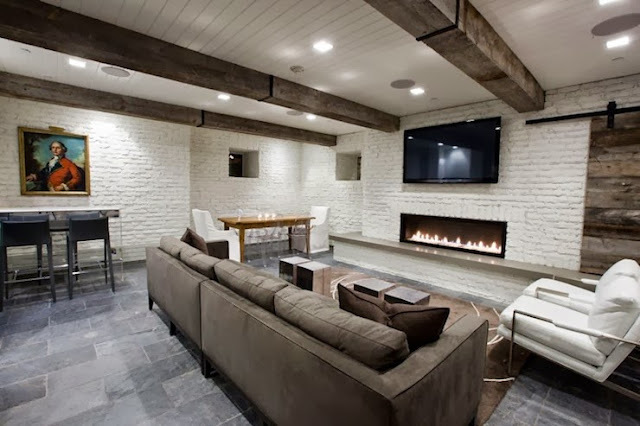 Some of those basements are so cozy! 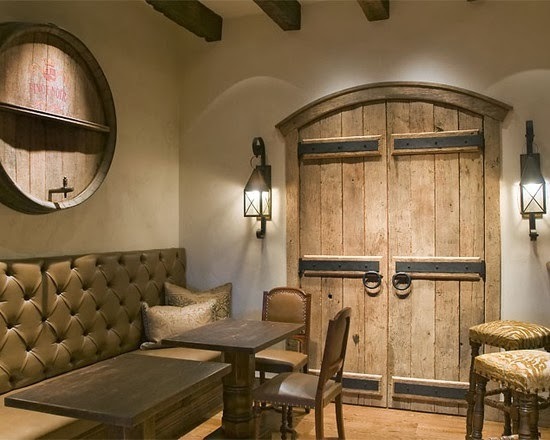 I loved the wine cellars and the craft room! This is a great article and I love all the decorating ideas in these pictures. 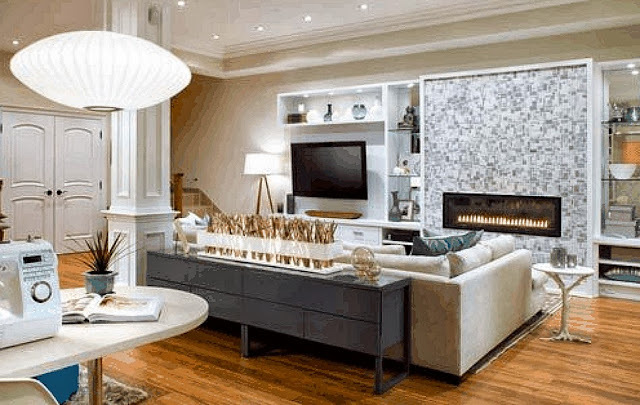 Everything really fits well together and creates a great space. Decorating a basement can be hard because sometimes the floor plans are difficult to design. 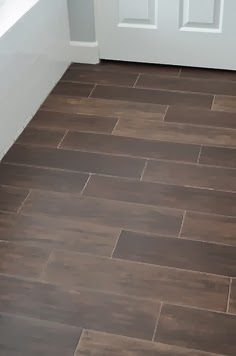 My wife and I just finished ours and we had a hard time figuring out what color walls and flooring we wanted. Also, we decided to go with a spiral staircase that came from the family room. We decided to look up Spiral Staircase Prices so we knew which one to buy and what would look nice.